We support with prayer, service, and financial gifts a variety of ministry opportunities both locally and globally. We have an ongoing regular financial commitment to the work of Pastor Charles and Anita Jackson in Mongolia; to the Robin’s Nest Children’s Home in Jamaica; and to the Kikatiti School in Tanzania. 2015-16 is the third year a member of our congregation is engaged in a year of overseas mission, with Chad Nelsen in Rwanda as a part of Young Adults in Global Mission. We also reach out in love and service to the community and region in ways such as serving meals to the guests at Esther’s Kitchen in Marshall, by creating and delivering many quilts throughout the year, and in starting and housing a clothing ministry for babies, children, and youth called, “Hunter’s Helping Hands”, among many others. 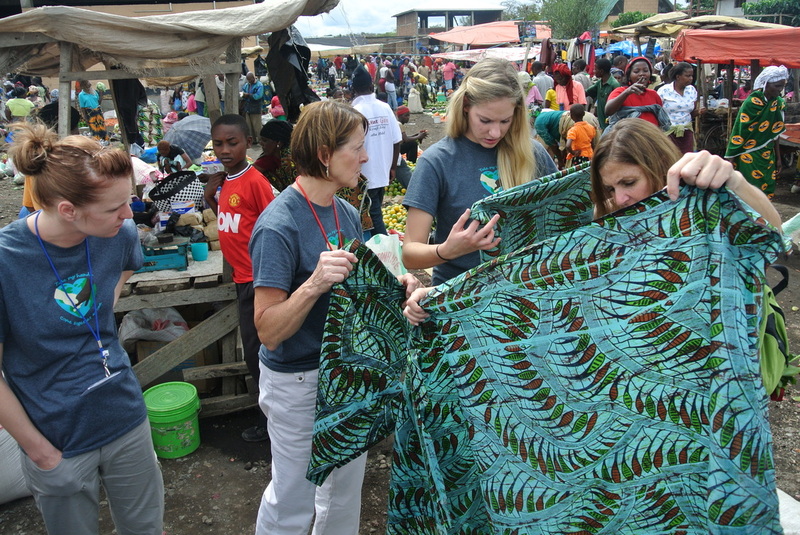 Christ Lutheran members in Tanzania supporting the local vendors.